I swore to Polly Moller on December 9, 2012 that I would never play the Berkeley Arts Festival storefront ever again. Then Phillip Greenlief put together a benefit for local musician Jay Korber, who is recovering from a very serious accident and I thought... well... I can explain that to Polly Moller. 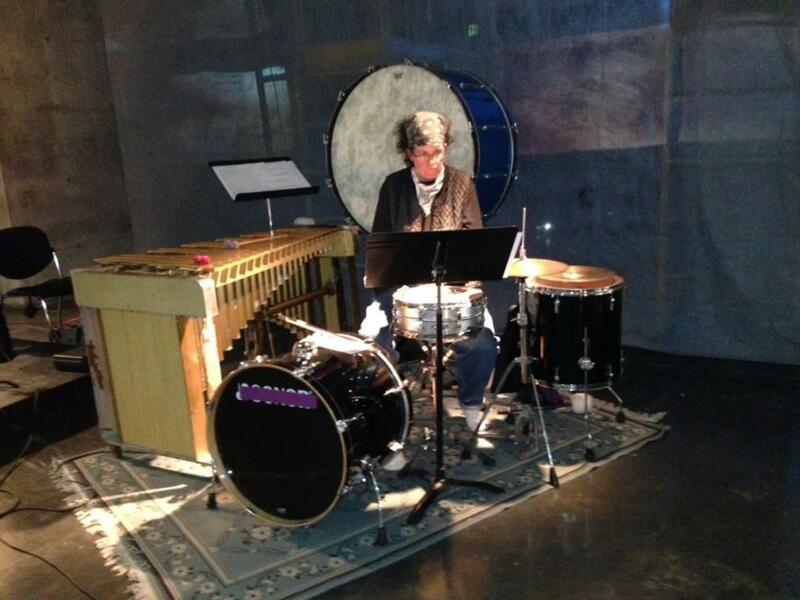 8pm set: large ensemble conducted by Gino Robair. I'll be playing either an accordion or some jurassically crappy electronics through a pignose amp because I like to give Gino something to consider... or ignore. Second set: large ensemble conducted by Moe! Staiano. I'll be playing percussion. If you can't make this gig, please click to give. Jay needs our help. Any amount helps. And this has got to be my all-time favorite concert video that features Jay and Jacob Felix Heule. I try to be like this every day.